The Workhouse Arts Center will present Poetic Art: a benefit for the Yellow Ribbon Fund. YRF is a non- profit organization created in early 2005 to assist our wounded troops from Iraq and Afghanistan, and their families, while they recuperate at the Walter Reed Army Medical Center and the National Naval Medical Center. Wanna go to an art party on Thursday? 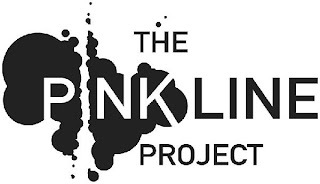 At the last Pink Line project (the Define Live-Work contest) you drank beer, hung out with a drag queen, and listened to opera. You ate sno-cones and played carnival games. You submitted really creative live-work ideas. And the winner of the Define Live-Work contest? Metasebia Yoseph. Congratulations! Now come back and see the Solea space, which will be transformed by designers Fabian Bernal and Sarah Aburdene, who have been inspired by the winning idea. The past, the present, entrapment, enthrallment, nomadism, nowhere and everywhere, drinking beer, making out, secret rooms, contentment, living hell, paint cans, and of course numbers all factor into The ZIP Code Show , happening August 29 - September 5, 2009. The show, an artdc.org and Art Outlet collaborative event, is being held in partnership with Halstead Arlington and the Columbia Pike Revitalization Organization . It will take place at the Halstead Arlington, a new luxury apartment building at 1028 South Walter Reed Drive in Arlington, VA. The ZIP Code Show will open and close with Saturday night receptions that will include art, artists, performers (see below), a cash bar, and hors d' oeuvres courtesy of Rincome Thai Cuisine . The work will be on display during the receptions and Tuesday, September 1 through Friday, September 4.